When you’re a small business starting out on the Internet, or even when you’re an established ‘Net business, you NEED drop shippers. Why? Because working with drop shippers eliminates the need for you to carry expensive inventories. You don’t have to rent a warehouse, hire employees, establish accounts with UPS and FedEx, etc. You can sell the best brand names on earth from your home computer, and make good money at it. Distributors who drop ship send the products you sell directly from their warehouse to your customer, with your business name on it. All you do it take the order from your customer and pass it to the distributor. You keep the difference between the wholesale price the distributor charges you, and the retail price you sell to your customer for. GetYerStuffHere.com will place advertising all over the Internet proclaiming to be the greatest source that ever existed for all kinds of great products, and they’ll drop ship all those products to your customer. You’ll get all excited because YOU can actually place everything from Sony electronics to Coleman Camping gear on your web site and sell it. GetYerStuffHere.com will charge you a site membership fee, to cover their “processing”. (Note: REAL wholesale distributors NEVER charge you a site membership fee). GetYerStuffHere.com will send you a nice, shiny list of products and show you where to get the product images and descriptions to place on your web site. You’ll get all excited, and put all this great stuff on your site, set your prices so that you can make a profit over what GetYerStuffHere.com. You’ll launch your site, and you hardly sell a thing. Huh? What happened? Nobody’s buying! You can’t survive on just a few orders a month! Disappointed and discouraged, you start to go out and check other web sites that carry the same products. Maybe they have better images. Maybe they have cooler descriptions. Maybe their pages look nicer. You find that it’s none of those things. So what DO you find? The other sites’ PRICES are lower. A LOT lower. GetYerStuffHere.com took you for a couple of hundred dollars in exchange for a CD full of product images. They may have even locked you into a contract where you have to pay them every month to be a “member” of their “distributorship”. Oh, GetYerStuffHere.com DOES ship the products they claim to. Of course they do. It’s just that when they get an order from you, they turn around and place your order with the REAL wholesale drop shipper, and take a profit. By the time YOUR price is calculated, you’re paying not only wholesale, you’re paying GetYerStuffHere.com’s extra markup of anywhere from 12% to 30%. In order for YOU to make a profit, you naturally have to mark up the prices you get from GetYerStuffHere.com. By the time you do that, you can’t compete on the ‘Net. Your prices are just too high. You can lower your prices to the point where you’re making mere pennies on your products in order to compete. You can bypass these jokers and go to the REAL sources. I’ve been in Systems Engineering for 18 years. I’ve been involved in eCommerce since it began. In that time, I’ve seen this scenario played out over and over with companies I’ve done work for. The real sources can be hard to find. They don’t market themselves as Internet drop shippers. They are established wholesale companies who have been supplying big chains like Sears and Kmart for a very long time. Many of them are now realizing that a good part of their future lies in Internet sales, and they are establishing drop ship programs. There are even a few big name manufacturers who are beginning to drop ship right from their factories. That’s where YOU need to be. In direct contact with the actual wholesale distributor or factory source. Any company that tells you that they’ll set up your entire web site AND PROVIDE THE PRODUCTS FOR YOU will NOT make you rich. They’ll make THEMSELVES rich on your setup and hosting fees, and you’ll piddle along with thousands of other small sites all selling exactly the same things at the same prices. 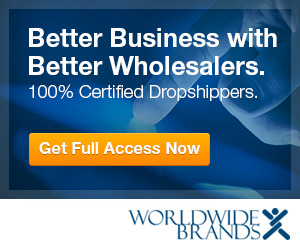 Any distributor who wants you to pay a “membership” or “setup” fee is not a true wholesale distributor. If it sounds too good to be true, it’s too good to be true. Radio Resource Center. 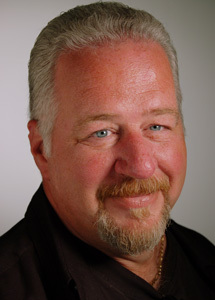 He co-writes and hosts Product Sourcing Radio, one of the top rated shows in the wsRadio Business Network, and has authored numerous books on E-Biz and product sourcing, including “What to Sell on eBay and Where to Get It,” published by McGraw-Hill.